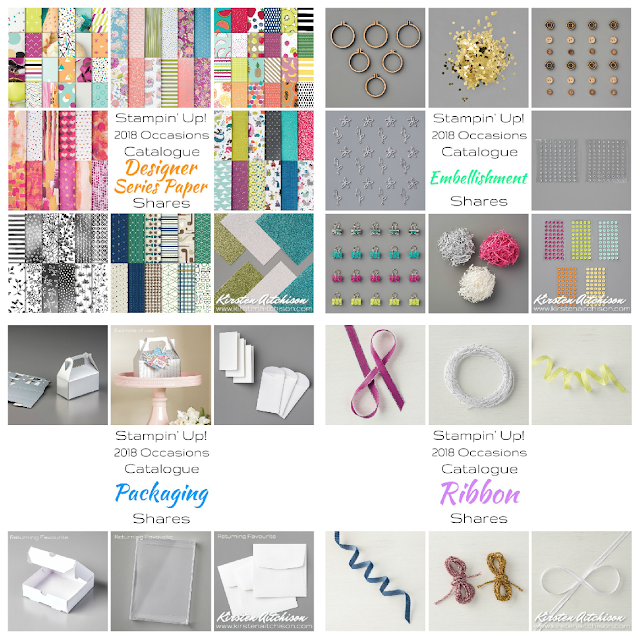 Do you like all the current designer series papers, ribbons or embellishments but can't decide which ones you like best? Or want to see it first before you buy a full pack or roll? Or perhaps you don't need a full pack or roll and just want a bit of everything? Well then, you need product shares. 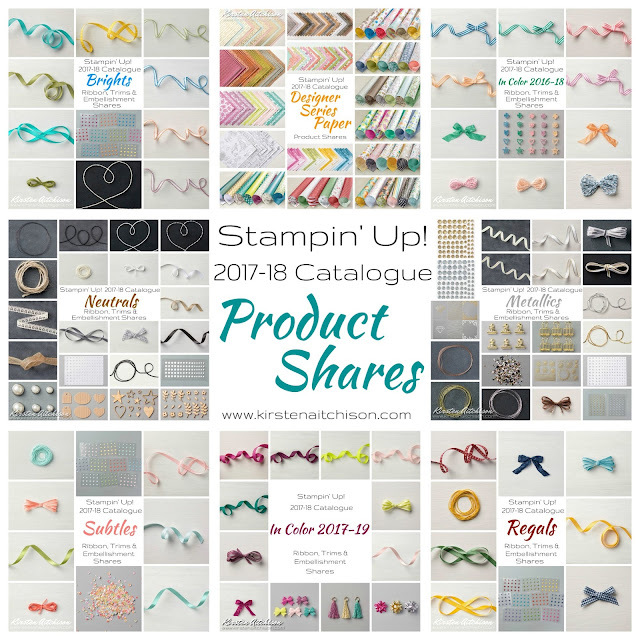 Product shares are where you purchase (and receive) a part share in a pack/roll of a Stampin' Up! product or collection of products. All shares need to be allocated and paid for prior to the products being ordered, divided up and posted. So please register your interest in a particular share and once the shares are all accounted for, you will be sent an invoice for payment. 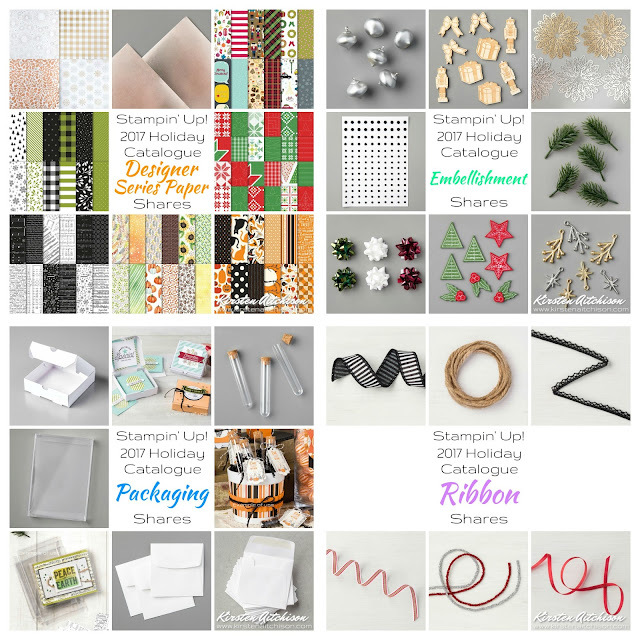 Sorry I am not offering Shares for products from the Stampin' Up! 2018-2019 Annual Catalogue at this time. Please watch this space for details coming soon. If you may be interested in participating in a share, please contact me. I am offering Shares for products from the Stampin' Up! 2017-2018 Annual Catalogue and the new 2018 Occasions Catalogue. I currently have Designer Series Paper Shares and Ribbon, Trim & Embellishment Shares on offer.